*There are many versions of this machine, each having a two ratios gearbox (automatic). 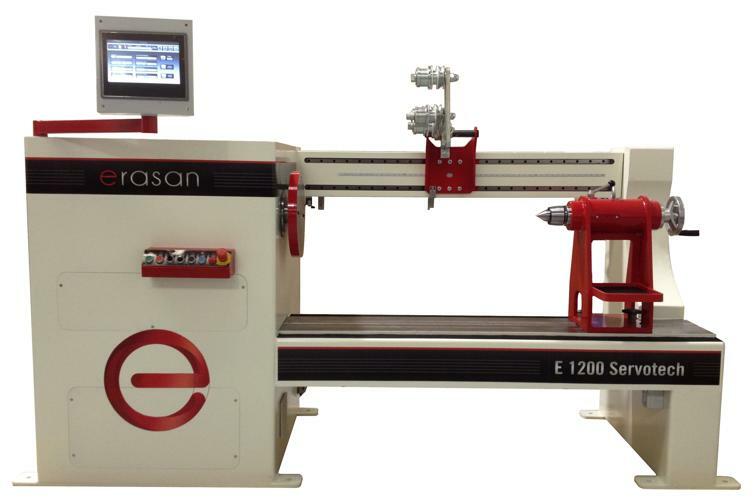 The E-1200 “SERVOTECH” is a state-of-the-art winding machine with highly advanced features, including an automatic gearbox, energy efficient servo motors, and intelligent torque boosting technology. It is equipped with head and bench in welded steel, faceplate, tailstock with Morse cone Nº5 turning centre, guider system, security closure and foot pedal. The machine is operated by a powerful CNC with user-friendly electronic programming. The energy efficient design concept reduces power consumption. All motors are synchronous and each movement has been optimised for maximum energy efficiency. 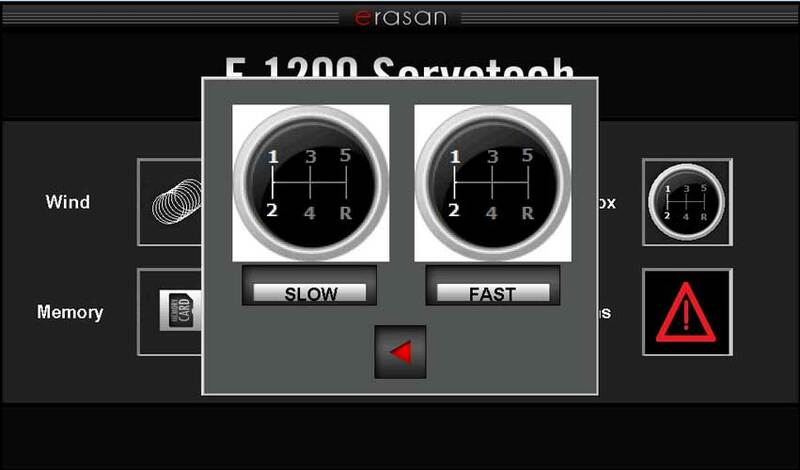 A new feature of the “SERVOTECH” model is the automatic gearbox, enabling the appropriate gear ratio to be selected by software. This machine is specially designed for the manufacture of solenoids and power and distribution transformers from 10 to 2000 KVA, using aluminium or copper wires, including rectangular or flat wires with a special guider. The wide range of winding speeds (up to 485 r.p.m) permits primary and secondary windings on the same machine, thus reducing the cycle time for many production processes. The concept and design facilitates the placement of necessary accessories such as end-fillers or insulation paper. This all-new gear box is electronically controlled; the gear ratio specified within the winding program is selected automatically with no operator intervention. During the programming process, the machine software will “suggest” an appropriate gear to use according to the winding speed that has been entered. If required, this can be overridden by the user by simply selecting the preferred gear ratio. To assist our customers to compensate for ever-increasing energy costs, the E-1200 “SERVOTECH” has been designed for maximum energy efficiency. All of the machine movements have been optimized in order to reduce power consumption to a minimum. The all-new machine operating software has an intuitive graphical interface and a 10-inch (254mm) full colour touch screen - with user’s choice of language - making programming a new coil easier than it has ever been. Program storage is directly to a standard SD memory card. This allows a fast, simple program backup, with the option of Windows ™ software, “WINbobbin” for full PC connectivity. The wide range of accessories designed to work with the E-1200 “SERVOTECH” includes guiders for round and square wires, wire tensioning and de-reeling systems, paper and insulation material feeders.